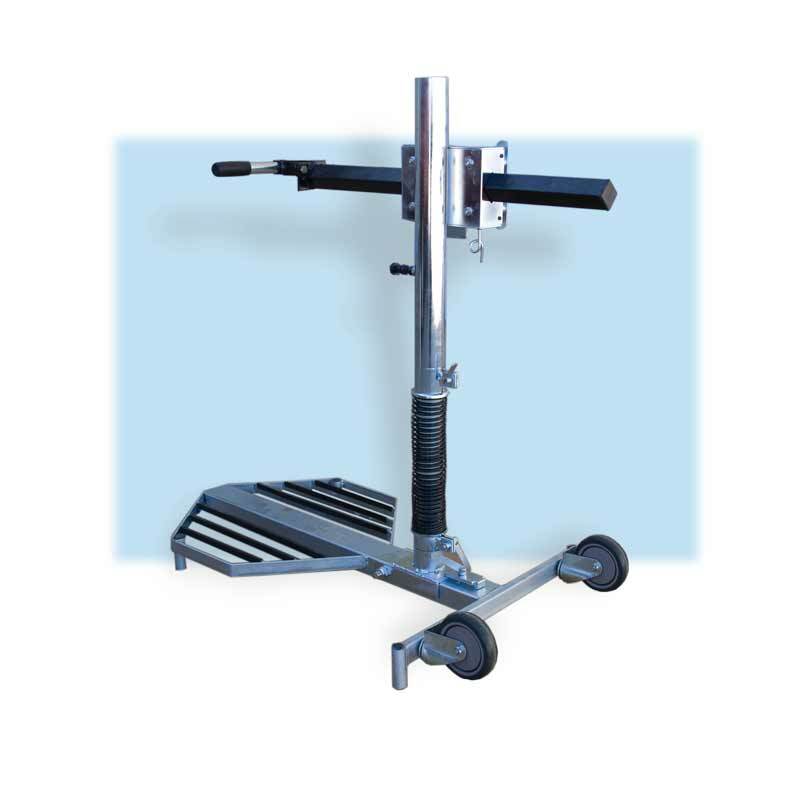 We have designed a mixing stand that makes your job a lot easier. Our stand has a spring counter weight system so it is very easy to operate and move up and down. On top of that it has wheels for easy accessibility and movability on the job site. This mixer can move forward, back, up and down so you can mix in a bucket or wheelbarrow and reach all angles of the container you are mixing in. 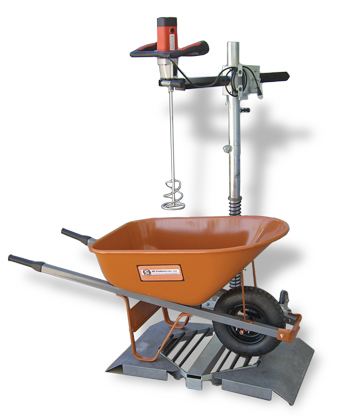 What is different and unique about this product; it has a ramp on either side so that you can roll a wheelbarrow right up and begin to mix. This stand has locks as well so you can do continuous mixing, so you don’t need to stand there yourself and do it, you can continue working. This can save you loads of time. This mixing stand is made to make your job easier. Most contractors will use their drills and stir up their high viscosity paints and other material. This will burn up the motors and cause them to keep replacing their drills which can become very expensive. On top of that it will waste your time using a drill to mix, it means that you must stand there and take up more of your time. The BN Products mixing stand is designed to hold an 1800 watt mixer that will get any mixing job done. The stand can be locked in place so you can spread material while your next batch is being made up, more efficient and saves you time and money.